I had so much fun making shaker cards with the Queen and Co Fruit Basket kit! 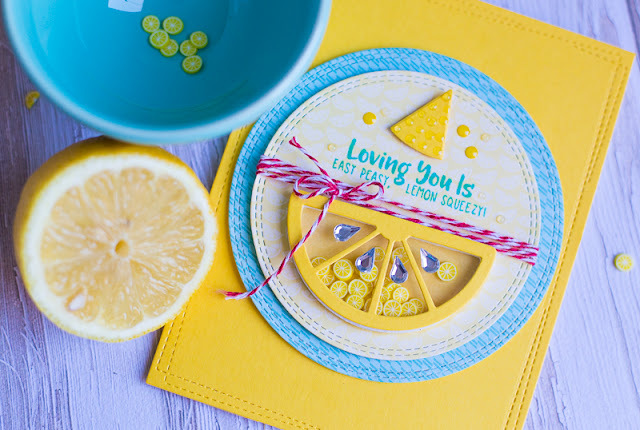 Combining the patterned papers with some bright cardstock and a lemon shaker made it easy to create a fun, summery card! But the kit doesn't stop at summer lovin'! 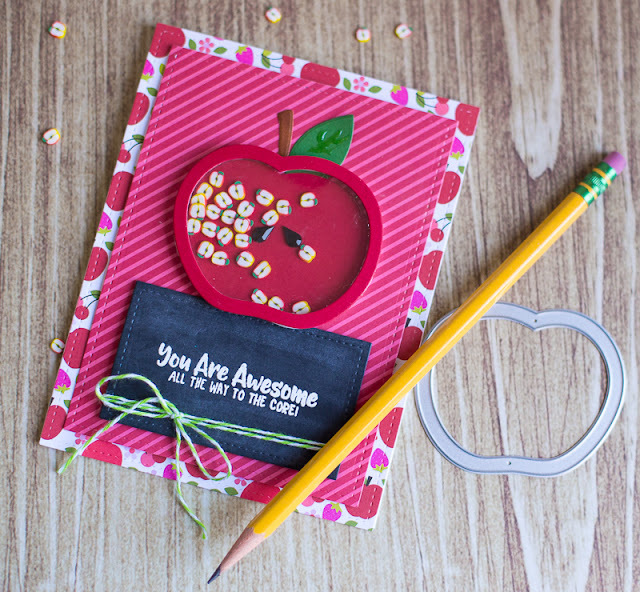 You can easily create an apple shaped card that would be perfect for a teacher thank you! I love the sentiment stamp set that comes with the kit too. And the "Awesome to the Core"sentiment will be perfect for my kids' teachers! Want to see all the supplies I used to create this card? Check them out below! Thanks so much for stopping by!